Enhanced bioavailability of total curcuminoids. 46x better absorbed in the body than other enhanced forms of curcumin. Well known for its potent anti-inflammatory and antioxidant properties. 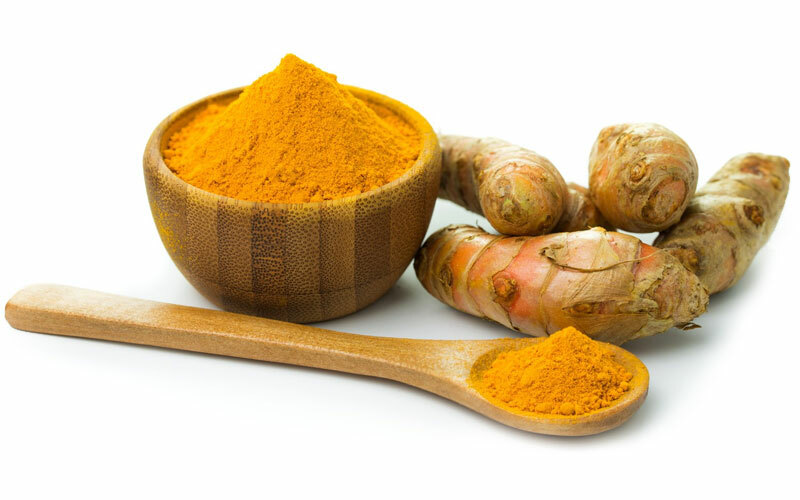 Curcuminoids - the active compounds in turmeric—have been extensively researched and support multiple health benefits such as heart health, joint health, cognitive function and antioxidant protection. And also the Aloe Vera Drinking Gel with Manuka Honey and Spirulina. I take these everyday and feel great. My energy level is really very high now. My husband and I have been using Sanita's Curcumin for 3 months and have noted an enormous improvement in our joints and movement. At 60 we cycle about 4 times a week in the hilly Southern Highlands of NSW, sometimes 80 km rides as well as horse ride, garden and golf, all these activities were becoming more and more difficult. Sanita's Curcumin has eleviated all our joint stiffness and arthritic pain, as well as improving my digestion, I no longer have reflux (heartburn). Being a doctor and an intensive care nurse we were a bit sceptical at first, but we felt so much better by the third week of taking Sanita's Curcumin we truly believe in the fantastic benefits it provides the body. I’ve never felt better in my life. I’m sleeping much better now after taking your curcumin. I am recommending it to all my friends. You have a great product. Thank you. This is a fantastic product. It has helped my dull aching arthritic hips. All the pain has totally went away within the first week. At the end of my 2nd jar, I neglected to re-order and I find my hips are giving me discomfort again. I have just place an order again and am not going to stop taking this product. I am a sports and gym enthusiast and a cyclist. As a result, over the years, my knee joints have been ‘knocked’ around a fair bit. Your curcumin has been helping me in reducing the aches and pains. LOVE IT! It’s great to be waking up without the joint pain. Thanks for your curcumin SANITA. I have been going through lots of health problems for quiet some time now. My mum came to visit me from Sydney and she brought with her a jar of SANITA’s curcumin. After taking it for around a week, it has brought so much of relief to my body. I will never be able to do without this product anymore. I feel its going to start healing me internally. I cannot thank you enough mum for it! Both mum and myself will be devote users of this product. I ordered Sanita’s curcumin powder. This product is great because I was having a lot of joint pain and everything I tried did nothing, but this product really works within a few days of using it. I noticed my joint pain has eased considerably and I feel that it will go away completely. I will continue to take this the rest of my life. Love it! I tend to spend a lot of time at my desk with work and study at night. Over a period of time, I had developed an ache in my right shoulder and neck. At times, the pain can be quiet excruciating. I started taking the curcumin and it’s been helping my ache. It has subsided tremendously. I’m very confident that it will go away completely with continous taking of the curcumin. I am very pleased with SANITA’s curcumin. I’m not one to write reviews but since taking this curcumin, I feel an ease in my joint pain around my knuckles. It really has started feeling good again in my hands. I have just ordered my second jar and I'm going to continue taking this as I truly think that this is ‘GOLD’ in a jar. I would encourage anyone who is sceptical about trying natural remedies, to give this a go! I was introduced to your curcumin and aloe vera with manuka honey and spirulina. Both these products have worked wonders for me and my partner. She too can’t do without it anymore. SANITA’s turmeric extract took about a month to get into my system but now its almost a magic feeling! I don’t have the constant ache I had for 2 years. I am convinced that SANITA’s curcumin is helping my arthritis. Just letting you know how great your product is. I am glad I came across SANITA’s curcumin. It has been a long time that I have lived with pain in my knuckles and not being able to move my fingers with ease. I started feeling the difference after one week of taking the curcumin. I was able to move my fingers a lot more and with less pain. The swelling has also reduced and I now can put back my wedding ring on my finger which I am so pleased about. I am confident that it’s only a matter of time that I will be feeling a lot better. I am now passing the word around to my other friends who are in a similar situation. By taking my daily dose of curcumin, I no longer experience as much joint stiffness.